We konkanis make dosa out of the even flowers called Sanna Polo. In India, it is found on the foothills of the Himalayan mountains. This plant belongs to the family Moringaceae. It derives its name from the Malayalam word, ‘Muringa’. It is a multipurpose plant and its leaves, pods, fruits, flowers, roots and bark are beneficial in one way or the other. The seeds of moringa contain 40 percent edible oil known as Ben oil. This clear, sweet and odourless oil is rich in antioxidants and is similar to olive oil in terms of its nutritional profile. It has an indefinite shelf life as it does not turn rancid like other oils. Moringa leaves are the most widely used parts of this plant. These leaves are edible. They contain three times more iron than spinach. 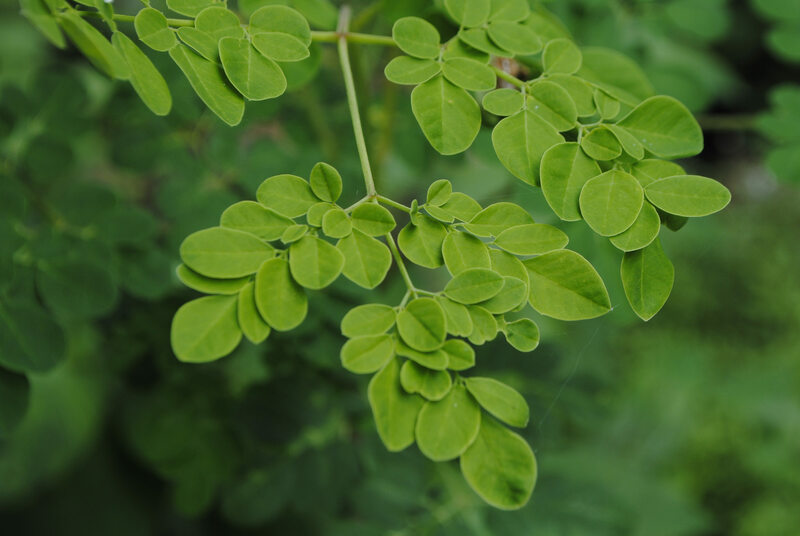 Moringa contains all the essential amino acids needed by the body. Amino acids are the building blocks of proteins which are needed to grow, repair and maintain cells. Human body manufactures 10 to 12 amino acids. The remaining 8 amino acids are known as the essential amino acids which should be provided from everyday diet and moringa contains all of them. The list of essential amino acids and their benefits are given below. ISOLEUCINE — Helps in building protein and enzymes and creation of biochemical components within the body. LEUCINE — Builds protein and enzymes along with isoleucine to enhance body’s energy and alertness. LYSINE — Ensures the absorption of right amount of calcium by the body and aids in collagen formation and production of antibodies, hormones and enzymes. Maintains the balance of nutrients that reduce viral growth. METHEONINE — Provides sulphur to the body and prevents hair, skin and nail problems. Lowers cholesterol levels by increasing liver’s production of lecithin. Helps in reducing liver fat and bladder irritation. PHENYLALAINE — Production of chemicals required to transmit signals between nerve cells and brain, thus reducing hunger pains. It also improves memory. THREONINE — Forms an important part of collagen, elastin and enamel proteins. Assists metabolism, prevents fat build up in the liver and boosts digestive and intestinal tracts. TRYTOHYAN — Supports the immune system and alleviates insomnia. Reduction of anxiety, depression and migraine symptoms. Decreases the risk of artery and heart spasms as it reduces cholesterol levels along with lysine. • Moringa seeds mixed in impure water can help in absorbing all the impurities. • Moringa helps in the removal and excretion of toxic build up by attracting toxins from the blood. 17. According to research, certain elements contained in moringa roots can cure ovarian cancer, kidney stones and inflammations. They improve the overall kidney functions by enabling the body to flush out calcium and phosphates from kidneys more efficiently. The most amazing fact about moringa is that it is a storehouse of nutrients and medicinal chemicals. The various parts of this plant are rich in vitamin A, vitamin C, calcium, potassium, iron and protein. It contains a plethora of phytonutrients, eight essential amino acids and other powerful disease fighting antioxidants. According to the Ayurveda, moringa comprises of around 539 compounds capable of preventing 300 diseases. Moringa contains more than 90 nutrients and 46 different antioxidants which make it a powerhouse of nutrition. The table given below provides a gist of the nutritional value of this wonderful plant. Moringa leaves are a storehouse of nutrients. They contain seven times more potassium than bananas and twice the amount of protein as that contained in milk. Milk is considered to be an important source of calcium, but moringa leaves contain four times more calcium than milk. They contain four times more vitamin A or beta carotene than carrots. Moringa powder which is prepared by grinding the dried leaves of moringa contain seven times more vitamin C than oranges, 25 times the amount of iron in spinach, 36 times the amount of magnesium in eggs, 50 times more vitamin B3 than peanuts and 50 times more vitamin B2 than bananas.